For peak performance, you need the LX910 Color Label Printer, the fastest and highest print quality label printer ever designed by Primera. The LX910 operates using a high capacity thermal inkjet print head that has no rivals on the market. It can flexibly be tasked with low or high volume label printing; print a few or a thousand label run! Utilize either pigment or dye ink easily without swapping machines. 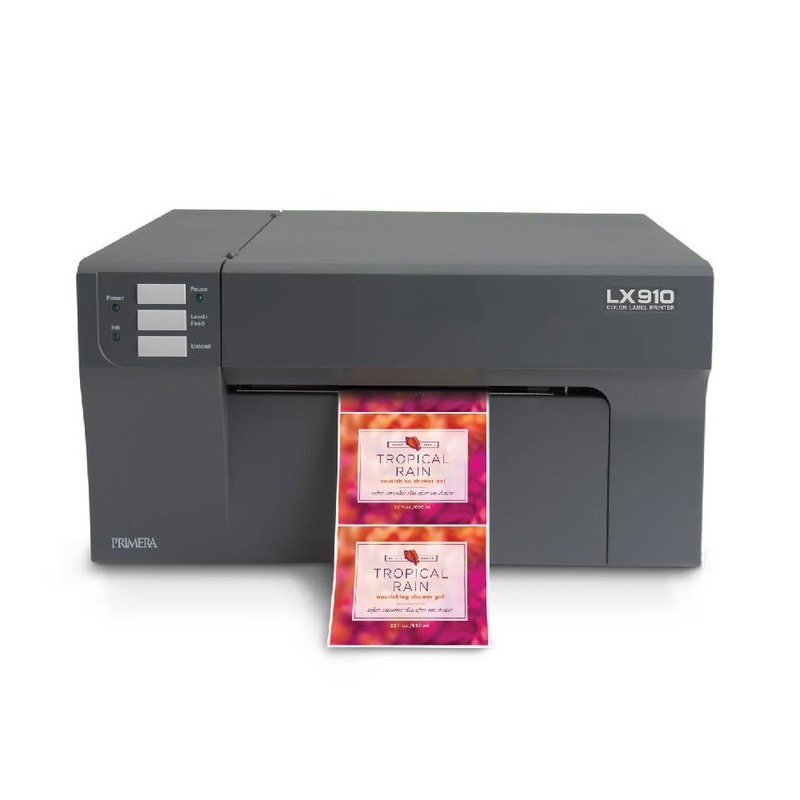 When you want top notch performance and results, turn to Primera’s LX910 Color Label Printer. It boasts vivid, incomparable colors and range that you simply won’t find in another label printer. Your results will be clean and highly professional. This printer can use either pigment or dye ink by simply swapping out cartridges; no need to purchase another printer. Other printers are limited by their horizontal banding or streaks due to their construction, but LX910 does not have these problems. Each label will be pristine and printed quickly. This printer is compatible with most standard operating systems, including Windows 7/8/10+ and Mac OS X 10.5 or above. It’s simple controls and manageable weight make it a valuable addition to any business. Included: Bartender Ultralite software for Windows, 4”X6” Tuffcoat™ High-Gloss Inkjet Label Stock starter roll and ultra-high yield CMY ink cartridge.